Divided Serenity ~ Revenge is only the beginning. 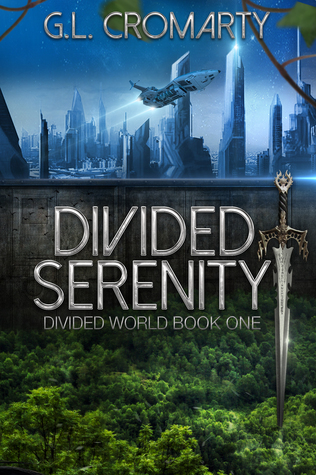 About Divided Serenity: John Tanis dreams of killing the man responsible for his exile. Giveaway ends February 11, 2018. This time last year, I was on holiday, and finishing the draft of the 2nd and 3rd books in my Divided World Series. At the time, I had yet to publish any of the series. It’s been an eventful year, with Book 1 published in December, Book 2 now on pre-order, and Book 3 in the final stages of review before it is ready to go, too. I often reflect on how much time I spent writing prior to publishing a book…over twenty years. And how easy it would have been to continue dabbling with out direction for another twenty. While I know not all reviews will be positive, I still need to pinch myself when a positive one pops up on Amazon. As a writer your greatest satisfaction comes from the knowledge that someone enjoyed your work. I am grateful to all the people who offered encouragement (and the occasional threat) to ensure I took that final nervous step with publishing. Both the direct encouragement from friends and family, and the indirect encouragement from the already published authors whose blogs and articles I read. With the power back and The Wall operational, the land of Aterra is once more safe from the savage armies that dwell in Shadowland. There is just one problem…the people of Aterra have no way of knowing that their protective wall is repaired, and their President, Bill Bremmer, is determined to exploit their ignorance and fear to pursue an agenda all his own, even if it means war. Once again finding herself in the middle of forces beyond her control, and with enemies and deception on all sides, Hannah tries desperately to save her home, and to discern the truth about those around her.